Optimization in Operations Research (2nd Edition) | Free eBooks Download - EBOOKEE! Ronald L. Rardin, "Optimization in Operations Research (2nd Edition)"
Developing skills and intuitions through accessible optimization models and analysis. 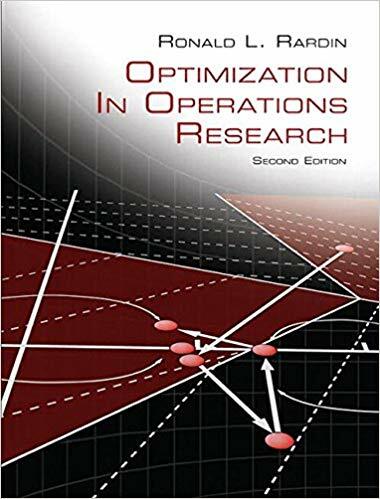 Rardin's Optimization in Operations Research, Second Edition builds on the critically acclaimed first edition published nearly two decades ago and named Book of the Year in 1999 by the Institute of Industrial Engineers. The goal of the Second Edition is to make the tools of optimization modeling and analysis even more widely accessible to advanced undergraduate and beginning graduate students, as well as to researchers and working practitioners who use it as a reference for self-study. The emphasis lies in developing skills and intuitions that students can apply in real settings or later coursework. LIke the first, the Second Edition covers the full scope of optimization (mathematical programming), spanning linear, integer, nonlinear, network, and dynamic programming models and algorithms, in both single and multiobjective contexts. New material adds large-scale, stochastic and complexity topics, while broadly deepening mathematical rigor without sacrificing the original's intuitive style. This edition also continues the author's belief that making optimization materials accessible and exciting to readers of diverse backgrounds requires a continuing discourse on optimization modeling. Every algorithm and analytic principle is developed in the context of a brief story, and computational exercises often begin with a formulation step. No comments for "Optimization in Operations Research (2nd Edition)".